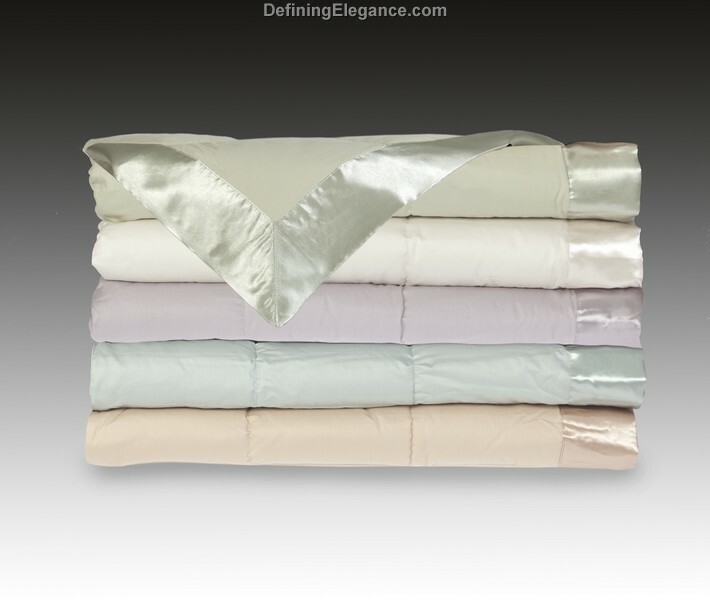 Downright Down Blankets 600+ White Goose Down - Swatches may be available. 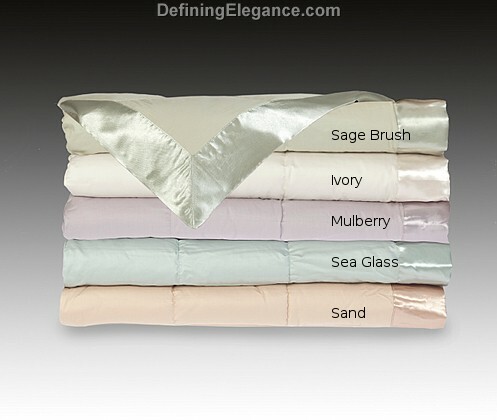 These Down blankets are beautifully finished with coordinating satin trim. 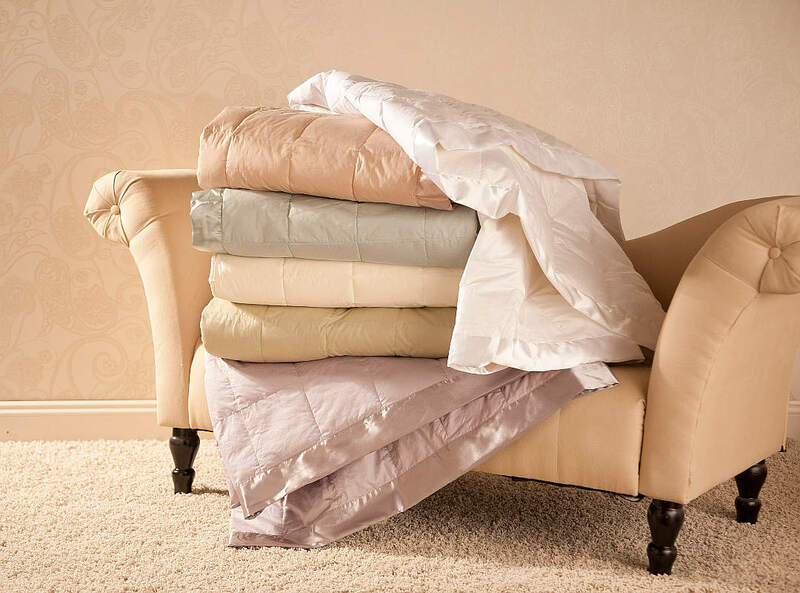 Blankets are available with a premium 600+ White Goose Down. Wonderfully soft and lightweight, these stunning blankets will surround you in comfort and incredible softness.